Lorna Goodison will read from her new book of short fiction, entitled By Love Possessed on Friday, Nov. 4 at 7 p.m. in the Ganong Hall Lecture Theatre on the Saint John campus of UNB. 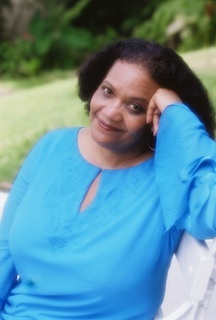 Born in Jamaica, Lorna Goodison lives in Toronto and Ann Arbor. A professor at the University of Michigan, she is the author of two story collections and eight books of poetry. I am Becoming My Mother, her 1986 poems, won the Commonwealth Writers’ Prize, Americas Region. From Harvey River, her memoir about growing up in Jamaica, won the BC National Award for Canadian Non-fiction and was shortlisted for the Trillium Book Award and the Charles Taylor Prize for Literary Non-fiction.